The British Beer and Pub Association (BBPA) has been keeping track of the rate of alcohol consumption throughout the world cup, and Wednesday night is expected to be the heaviest yet. The BBPA now thinks that home fans will drink almost double the number of pints purchased during Saturday afternoon’s match against Sweden. 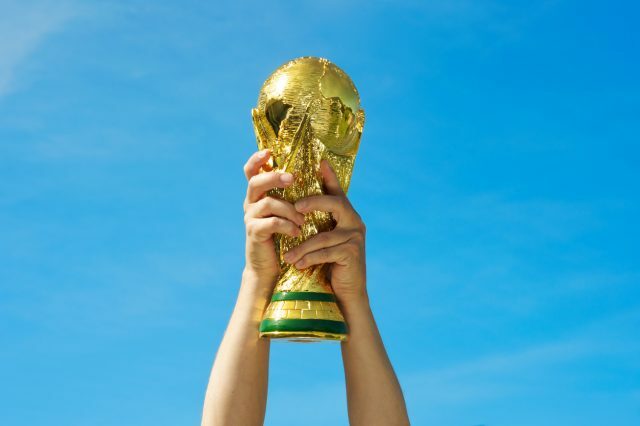 The surge of alcohol consumption has left some landlords and bar owners out of pocket, after teasing customers with drinks offers based on England’s performance throughout the World Cup. Last week the BBPA predicted that pubs and bars would bring a £2.7 million tax boost to the UK economy in the form of transactions over the quarter finals, with six million pints purchased. Now, the BBPA is predicting that home fans will buy 10 million pints on Wednesday evening — when England plays Croatia in the World Cup semi-finals — generating more than £4.6 million in tax revenue and giving a £30 million boost to the economy. It is not yet known how much beer will change hands if England goes through to the finals. The majority of transactions will take place at half-time, according to an analysis by data firm Worldpay, which manages the majority of debit transactions in UK businesses and has published its own research into spending habits throughout televised sporting events. Pint-pulling peaks four minutes before the start of the second half, at which point pubs across Britain are serving almost 2,000 customers every minute. Perhaps surprisingly, London is not the worst-offending city for half-time transactions. Worldpay found that pubs in Bournemouth and Bristol become busiest at half-time, while London boroughs Hammersmith & Fullham and the City come in third and fourth respectively. Transactions in bournemouth pubs increase by as much as 500% right before the second half of a football match. However, central London pubs saw an extra boost last weekend thanks to both the Sweden match and the annual Pride parade. Many sites in Zone one continued to screen the match while celebrations continued outside. It is of course, no ordinary World Cup. This is the first time England has made it to the semi-finals in 28 years, before major breweries like Brewdog, Meantime, Camden Brewing Co and Thornbridge even existed. However, England’s surprise victories have left some operators out-of-pocket. Rupert Thompson, managing director of Hogs Back Brewery in Tongham, pledged back in May that if Southgate’s squad made it to the final, the brewery would give a free pint of ale to anyone stocking up on beers from the brewery shop on Saturday 14 July. The brewery, which was founded in 1992 — also after England’s last semi final — will now be screening England games in a newly-constructed outside area. “Looking back, we were somewhat dismissive of the England squad’s chances,” he said.